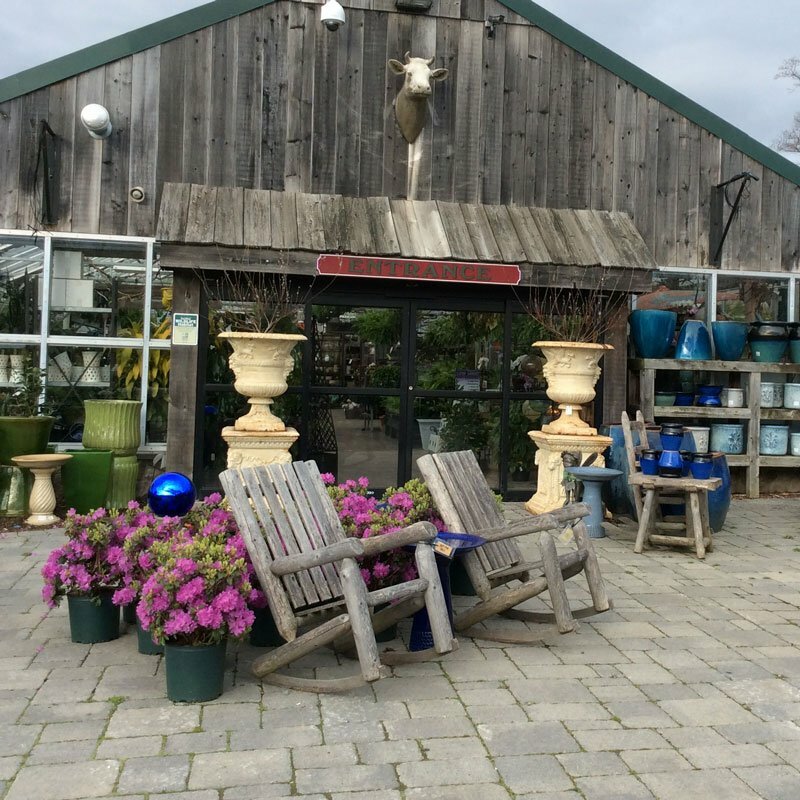 Pottery and containers are as decorative and defining for your garden as they are essential for the health of the garden plant nestled inside. 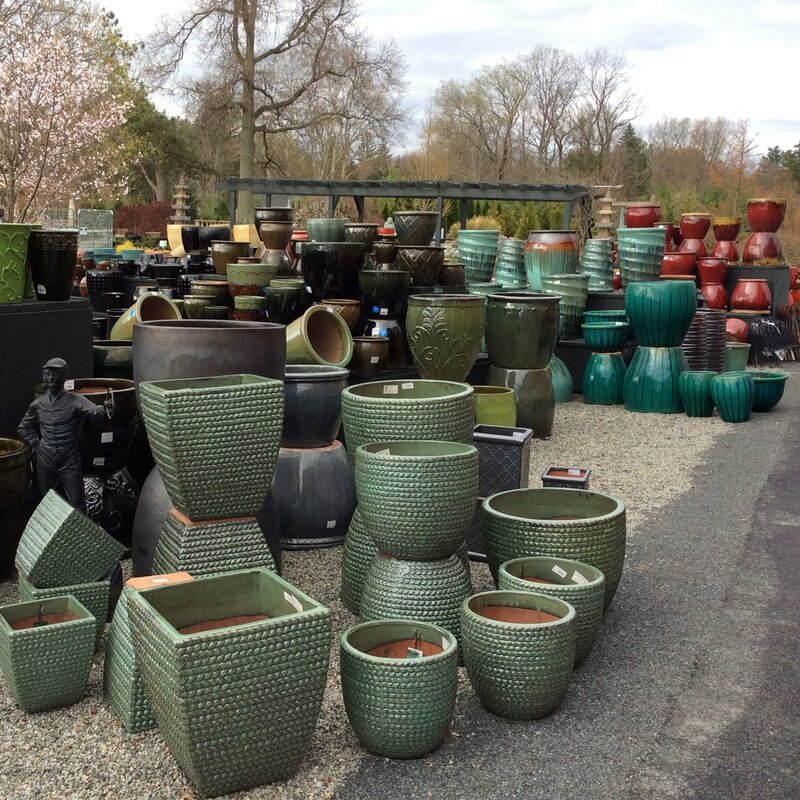 We have pots, urns, troughs, bowls, planters, frost-proof containers and more from leading names including Campania, Border Concepts, Garden Stone and Unique Stone. Select from terra cotta, glazed ceramic, lightweight foam, fiberglass, plastic, molded resin and others. You’ve heard about the “container gardening” revolution. This is what it’s all about. No need to dig and replant or wait for seeds to grow. 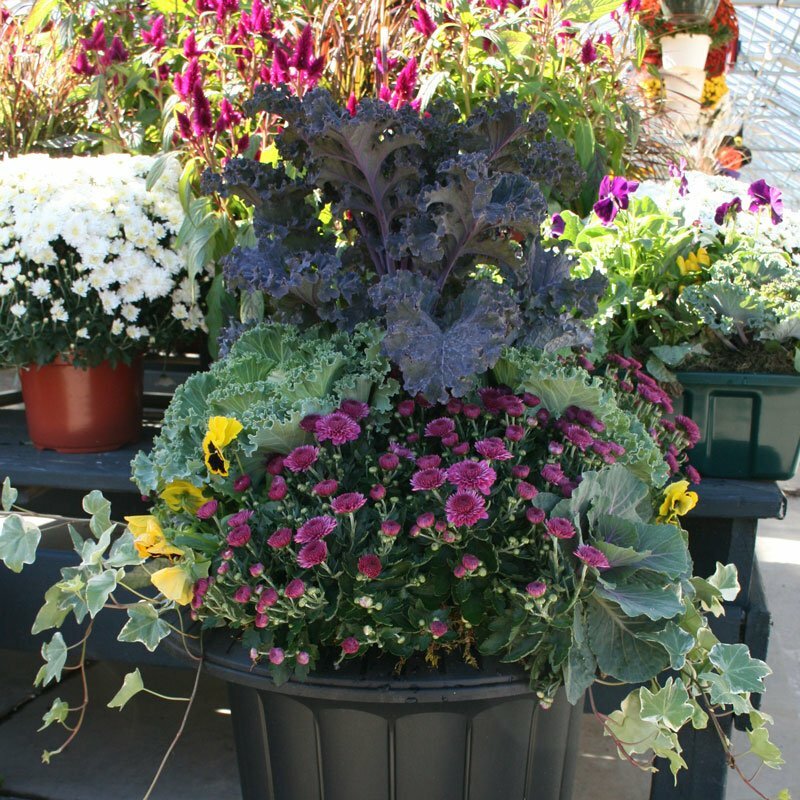 Select a pot or other container and we can plant a beautiful garden flower selection with all the nutrients to make sure your plants stay strong and healthy. 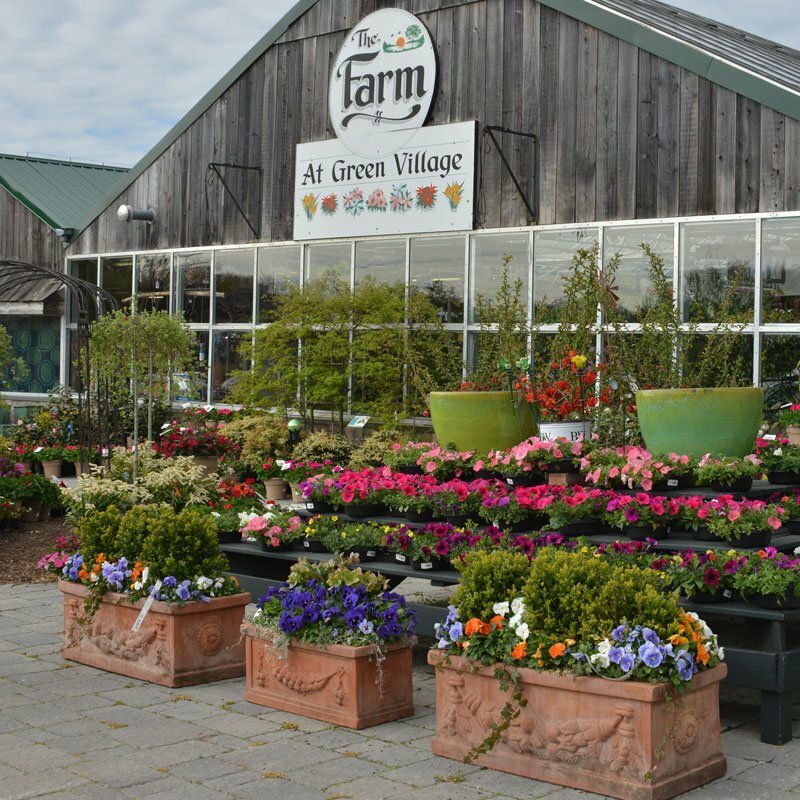 We have plants ranging from herbs to trees and annual and perennial garden plants growing in pottery and containers at the Farm. Walk the property and get some ideas on how containers can fit into your garden. You can also place custom orders to have your pots from home planted with exactly the plants and flowers you want. Container gardening is perfect for those who have limited gardening area. If you only have a balcony or small yard, you can grow flowers, herbs, and even vegetables right in a pot wherever you get some sunlight. Container gardening can also add versatility to a larger garden. The container you choose can provide an accent or focal point in the garden. A pair of matching containers can be placed along a path or walkway to lead the way or provide a welcoming decoration. Use one large pot with several species of plants inside, or a grouping of various sized pots together to provide accents throughout your home and outdoor area.